ORDER YOUR COPY OF SWYPTBIEY today!! 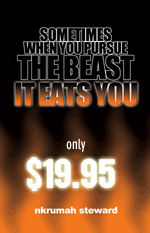 Click here to order your copy of "Sometimes When You Pursue the Beast It Eats You". Each order will be signed and numbered by Nkrumah Steward. If you don't have a credit card or PAY PAL account make sure to go to your local retail store or where ever you purchase your books and ask them to order you a copy. For the first time ever, 8bm.com will be available in book form. Sometimes When You Pursue The Beast, It Eats You 8bm.com’s first collection of rants, commentaries and what not is scheduled to be published in the Summer 2005. The book will consist of over 200 articles representing our take on over 40 different subjects, including a glossary of 8bm.com terminology, various epiphanies and a few secrets that you will just have to wait and see for yourself. 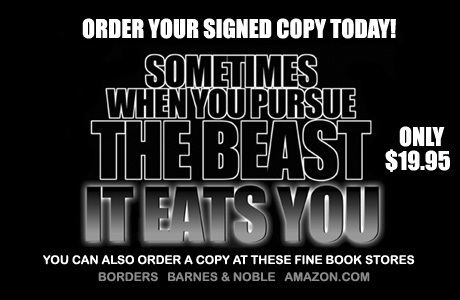 Right now I am only accepting pre-orders for "Sometimes When You Pursue the Beast It Eats You" at $19.99 USD for U.S. residence only. That is until I can figure out how much it will cost to ship the book outside of the U.S. If you want a copy of the book signed by me, you can buy it here for 19.95 US. But if you just want to get your hands on the book don't forget to ask for it at your local book store!  For the first time ever, 8bm.com will be available in book form. Sometimes When You Pursue The Beast, It Eats You 8bm.com’s first collection of rants, commentaries and what not is scheduled to be published in the Summer 2005. The book will consist of over 200 articles representing our take on over 40 different subjects, including a glossary of 8bm.com terminology, various epiphanies and a few secrets that you will just have to wait and see for yourself. If you would like to order copies for yourself and friends, I’m taking orders now.